Once upon a time on a hot August weekend, I had the house to myself and no commitments for two whole days. Spoiler alert, that actually happened! This past weekend my kids were at their dad’s and my husband was out of town for a few days visiting a friend. There were also no kid activities, no urgent school tasks I needed to get done, etc. Translation, I had time to train, hang out with the dogs and read a book! On Saturday morning I went to a group run at my local running store. The store is about 20 minutes from my house, so some weeks I decide just to run from home. However, as my long runs get longer, I need fellow sufferers, ha! The group at the running store always has some familiar faces and some new ones, but it seems there is always someone to run with and talk to through the miles. Saturday’s 8 mile run let me hear about Pike’s Peak marathon, trail racing around the areas and learn all about working on the railroad. Much better than counting trees on your own for 8 miles, ha! Later that day I was talking to my mom on the phone, she mentions that she is making lasagna and asks if I’d like to come over for lasagna. My mom cooks a plethora of dishes that I love, but lasagna is my absolute favorite mom dish. As I’m on the phone with her, my internal battle begins: I should really still get in a long bike ride vs. oh, lasagna sounds so good right now……You know how they say certain breeds of dogs are very food motivated for training purposes? Well, so am I.
Thankfully our county has an amazing bike trail system and both my parents’ house and mine are very near said bike trails. I look up the website of the trails and learn that my house to theirs on the bike trail is about 19.7 miles. 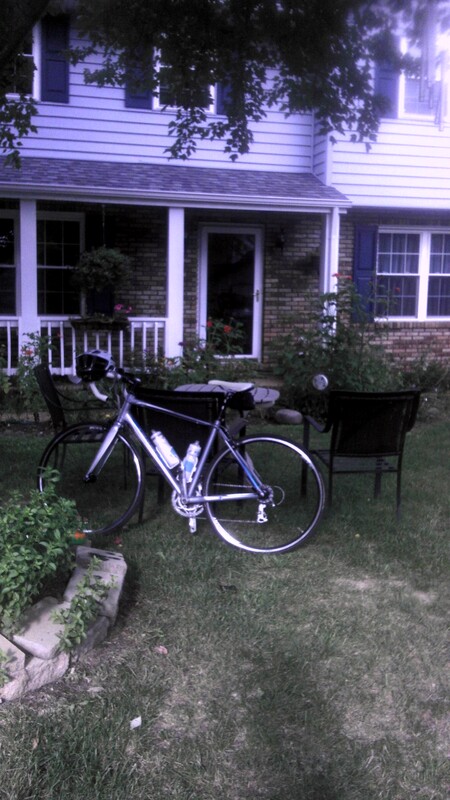 So I commit to dinner as my mid-point re-fueling and begin to get ready for the ride. As I rode to their house, I battled wind but really just enjoyed the scenery and the ability and freedom to be able to put together such a funny reason to ride a bike. 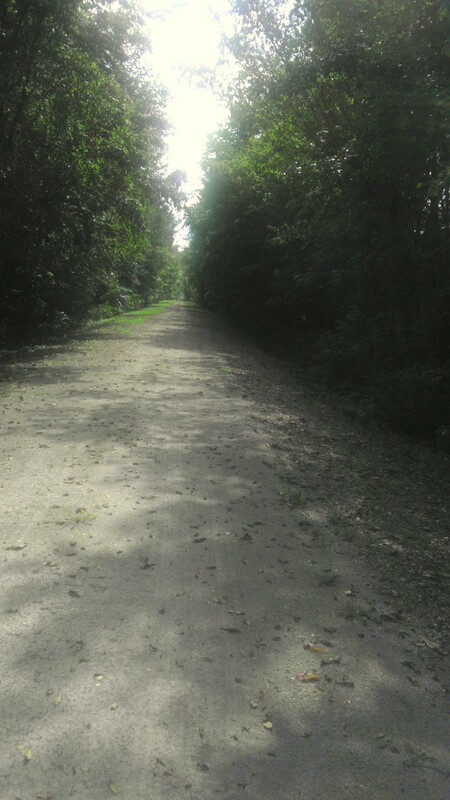 My house is in a smaller, rural community and the trail there isn’t used quite as frequently. It took 12 miles before I saw anyone else on the bike trail. It was pretty wonderful. Once I arrived at my parents’ house I looked at my phone and had a text from my husband wondering what I was up to. I sent him this picture with the following explanation: I call this picture Things I’ll Do For Lasagna. Took some time to visit with my parents, brother and sister-in-law and their kids. 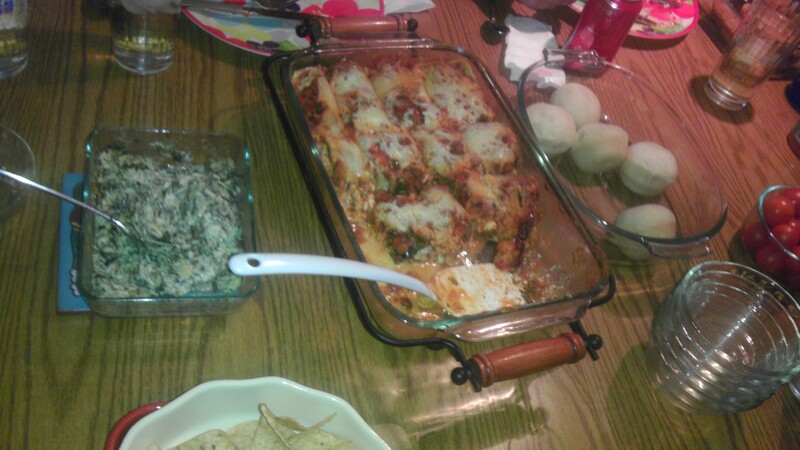 I ate far too much food: spinach artichoke dip, lasagna, rolls…..all go very well with being folded over in aero position on a bike. Finally it was time for me to head out so I could make it back home before dark, though I really would have liked another piece of lasagna at that point! The ride home went well, the first few miles my stomach was rather bloated from the massive amounts of food and sitting in proper position did not feel comfortable, but it was still worth it. 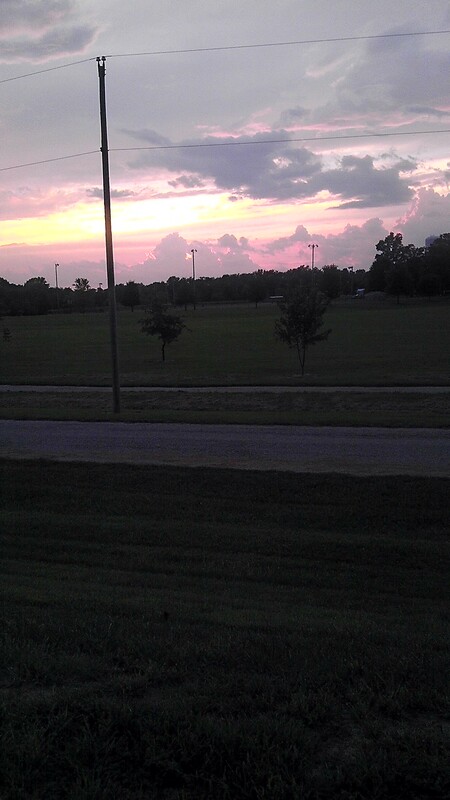 And I couldn’t help myself, about a 1/2 mile from my house I felt I had to stop to take this picture of sunset. 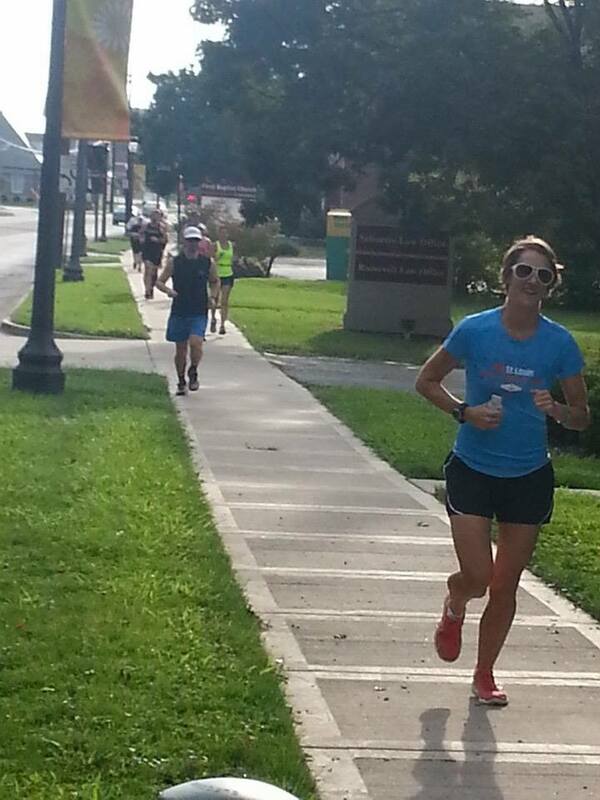 Another training day in the books, 5 weeks til 70.3!